The U.S. Supreme Court will hear the case Wednesday, and it could prohibit any school from ever using race or ethnicity in admissions decisions. In between sessions about federal financial aid and recruitment of international students, the Supreme Court was on the minds of college admissions officers at a national conference last week. Leigh Weisenburger, dean of admission and financial aid at Bates College, said people at the conference of the National Association of College Admissions Counselors in Denver talked a lot about the potential impact of an affirmative action case the court will hear Wednesday. The case stems from admissions policies at the University of Texas, but proponents of affirmative action are concerned that the Supreme Court will issue a broad ruling prohibiting any school from using race or ethnicity in admissions decisions. Maine public universities, including the University of Maine, the University of Maine at Farmington and the University of Southern Maine, do not consider race in admissions. The case, Fisher v. University of Texas at Austin, has more significance for Bates, Bowdoin and Colby colleges, which all signed on to a brief supporting the University of Texas and the use of race-conscious admissions. The brief was signed by 37 highly selective liberal arts colleges and universities that argue they cannot create sufficiently inclusive and vibrant environments through race-neutral admissions. 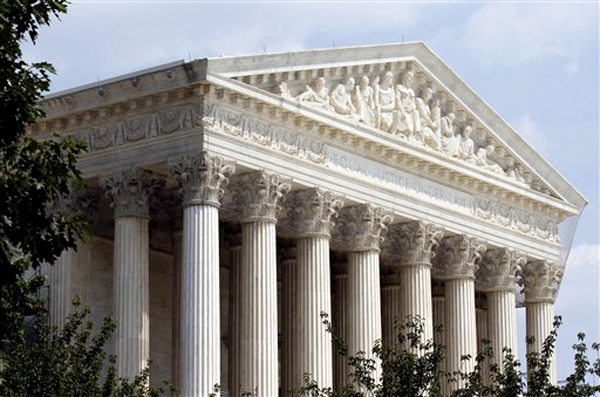 The Supreme Court last ruled on educational affirmative action in 2003. In Grutter v. Bollinger, it reaffirmed its decision from a 1978 case, California v. Bakke, that colleges and universities have a compelling interest to ensure a diverse student body because of benefits to educational quality and society at large. Schools cannot use quotas or points, the court has ruled, but race can be one factor in admission decisions, which is how Bates, Bowdoin and Colby use it. The University of Texas also uses a holistic process, including race or ethnicity to fill the small portion of seats remaining after granting automatic admission to all Texas students finishing in the top 10 percent of their high school class — a policy that was instituted to promote diversity in a race-neutral way. The petitioner in the Supreme Court case, a white woman named Abigail Fisher who was not admitted to UT, is asking the court to find the university’s policy inconsistent with Grutter or to overturn Grutter entirely. As with many cases, the decision in Fisher could hinge on Justice Anthony Kennedy, the court’s most frequent swing vote. Kennedy voted against the majority in Grutter. Dmitry Bam, an associate professor of constitutional law at the University of Maine School of Law, thinks the court will not rule so broadly as to ban affirmative action. UM School of Law Professor Melvyn Zarr said he also does not expect a broad ruling, but he noted that the Supreme Court has reached beyond the questions in some recent cases. He cited cases involving campaign financing and the Second Amendment as examples of activist rulings. Fisher’s suit is based on the equal protection clause of the 14th Amendment, which applies to government entities like public universities. Private colleges and universities have an interest in the case via Title VI of the 1964 Civil Rights Act, which bans discrimination by institutions receiving federal money, such as research grants or federally backed student aid. If race-conscious admissions policies are determined to violate Title VI, enforcement would be up to the government. Bates, Bowdoin and Colby are significantly more diverse than other institutions in Maine, in part because they seek to serve a different population than, for example, the public universities and community colleges. Some of the diversity gap between those schools and public ones is probably also because small colleges consider race in admissions. Bowdoin College has 31 percent students of color this year, and last year Bates had 19 percent and Colby 16 percent. Horn said that in addition to using race-conscious admissions, Bowdoin has recruited and enrolled more students from outside Maine and New England in the last dozen years to increase all types of diversity on campus, including racial and ethnic. Bates’ commitment to inclusiveness dates back to its founding by abolitionists, Lindkvist said, and affirmative action is still necessary because of continuing disparities in educational opportunity. Lindkvist, a special assistant to the president on diversity issues and acting director of the Office of Equity and Diversity Resources, said she sees the educational benefits of campus diversity in her everyday experiences and in scientific studies. “In order to have interactions on campus that mirror some of what happens outside, especially with increasing globalization and migration, you have to be attentive to creating a class that comes together with different perspectives,” she said. Not all of Maine’s private institutions use affirmative action. At the University of New England, admissions decisions are almost entirely dependent on academic factors, such as test scores and grades, said Stacy Gato, executive director of university admissions. Last year, 10 percent of UNE’s students were minorities, making it slightly more diverse than public universities that also do not use affirmative action. The University of Maine’s undergraduate population is 8.6 percent students of color this year. The university wouldn’t make anyone available for a phone interview, but information available on its website shows that race and ethnicity are not considered in admissions. Also not considered are religious affiliation, being a first-generation college student or being related to a UM alumna or alumnus. The most important factors are rigor of high school record, class rank, grade point average and standardized test scores. Jamie Marcus, director of admissions for the University of Maine at Farmington, said his staff gives some consideration to factors such as extracurricular activities and on-campus interviews, but the high school transcript is most important. The school does not, however, look at SAT scores. Rachel Morales, interim director of admissions at the University of Southern Maine, said the school wants to cultivate diversity, but it does do not consider race in admissions. As the Portland area has become more diverse, USM has reflected that change, Morales said. The undergraduate population was 9.2 percent students of color last year, up from 6.8 percent two years earlier. Morales said USM staff are promoting the university at high schools and college fairs in parts of New England with higher minority populations. “That’s really more how we’re approaching this, is in our recruitment strategies,” she said.